Sunflower Wax is a hard, crystalline, high melting point vegetable wax obtained through the winterization of sunflower oil. It is Ecocert Certified. 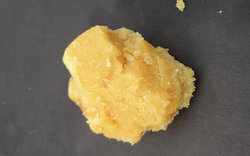 Sunflower Wax consists of long chain saturated esters derived from fatty alcohols and fatty acids. In many formulations Sunflower Wax can be used as an alternative for Rice Bran Wax, Carnauba Wax, and Candelilla Wax. 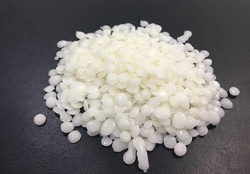 We are the leading manufacturer of sunflower wax at melting point 62-65 with colors of white, half white and light yellow. Deliver on time with the required type of package such as Bar, Powder and Flakes and with the cheapest rate to all over India. We are presenting the supreme quality array of Sunflower Wax to our esteemed clients. It is processed in compliance with the laid industry quality standards. Our customers can avail from us a wide range of Sunflower Wax, which are manufactured from high grade natural extracts and sunflower oil to offer high efficiency. We are extensively acclaimed for our products premium quality and high reliability. These are available in market at most economic rates. We are offering our client an excellent quality range of Sunflower Wax. Wax residue from sunflower oil, natural wax used in candle making. melting point above 72-77C. We are extensively acclaimed for our products premium quality and high reliability. Sunflower wax is natural Vegetable Wax Obtained by Dewaxing Sunflower Oil. It is a byproduct of edible Oil Industry. It has high oil binding capacity. This Wax functions as a Thickener, Viscosity Enhancer. It improves Hardness, Texture, Strength. This wax is mostly used in Lipsticks, Mascaras, Lip Balms, Decorative Cosmetics.